The Ascom SE-550 is available in VHF-low, VHF-high and UHF versions. It was used in several PMR and PAMR (MPT-1327) networks. Only a small modification is needed to make the unfiltered baseband signal available to the outside world. The receiver uses an MC3361 or MC3371 IC. The modification is the same. 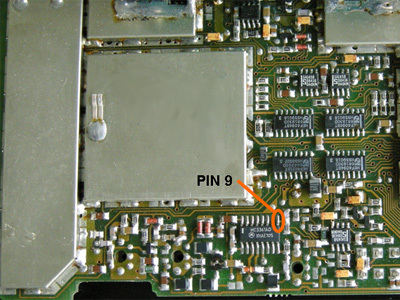 The unfiltered audio can be found on pin 9 of the MC3361 or MC3371 receiver IC. 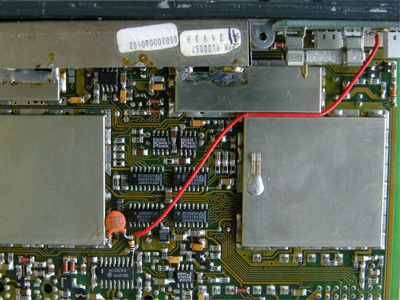 Make sure that the resistor and capacitor are mounted below the level of the the shielding, or the circuit board won't fit back into the radio's enclosure. 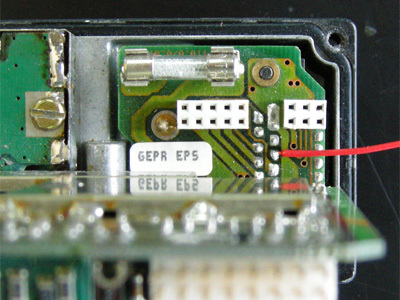 There is no need to mount an additional connector in the radio for the discriminator signal. Pin 5 of the 15 pin sub-D connector at the back of the transceiver is unused (spare). It is perfectly possible to use this pin to connect the unfiltered audio from the discriminator IC. 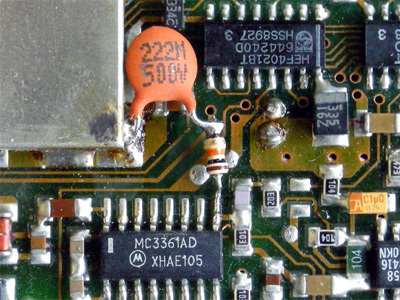 If required, you can put a small piece of isolating tape over the resistor and capacitor, to prevent these components from inadvertedly making contact to the radio's enclosure.